The district will hold a practice for its alumni band and color guard in the SEHS band room at 7 p.m. April 29. Final practice for the Pageant will start at 7 p.m. Friday, May 31 in Gaines Park (downtown). Uniforms will be white polo shirts, black pants, black socks and black shoes. Alumni shirts can be ordered through Rose Tenney. Former high school band or color guard members wishing to participate in this memorable event should email Rose Tenney at rtenney@twcny.rr.com for more information and music. You also can find us on Facebook (search for “Sherburne-Earlville Alumni Band"). Come march down Main Street one more time to help make this our biggest band and color guard ever. Spread the word and join the fun! 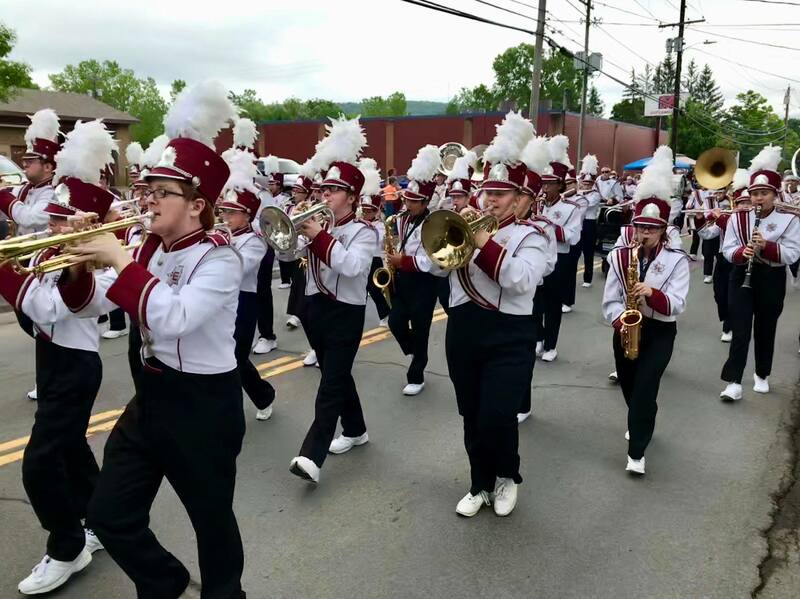 For more information about the Pageant of Bands and a photo gallery from 2018, visit https://www.secsd.org/SherburnePageantofBands.aspx online.